In the deep past of the novel, aliens came to Earth. They're a fungal-styled lifeform, and have been altering the path of Earth ever since they set up a number of small "nature habitats", in which their way of life and biology is king. One of these habitats in Nigeria has been surrounded by the developing town of Rosewater. 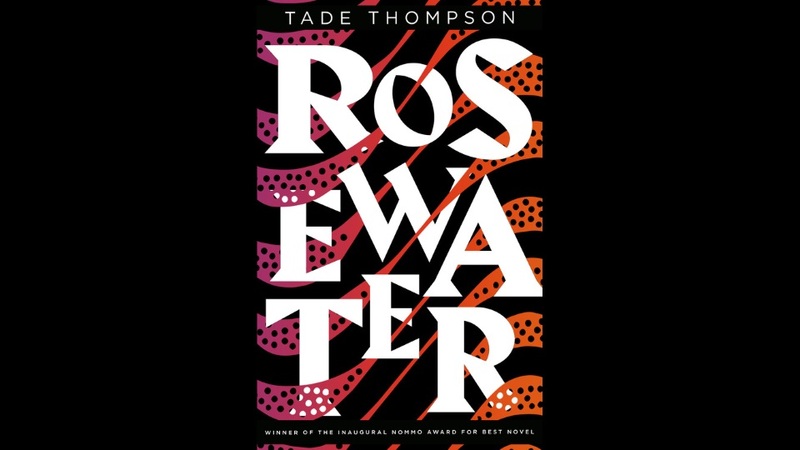 People are drawn to Rosewater because once a year, the habitat opens, and an unknown energy leaves it, and can heal people of an incredible number of problems. Cancer, TB, HIV, ingrown toenail? All sorted. It can also "heal" the dead, but that apparently isn't the best idea, given the need for the clean-up crew to go around putting these people to rest. In this town lives Kaaro, who is one of the "sensitives" more affected by the habitats than most. These sensitives can interact with the fungus aliens' xenosphere, which is a network of micro-tendrils established between everybody. This gives the sensitives access to people's thoughts and memories (and makes them a bit creepy). That's how Kaaro ends up working for Section 45, an intelligence agency set up to keep an eye on all of the weird changes that are happening around these habitats. His mission? Firstly, crack open the brains of criminals, to get them to confess and improve the success of the criminal justice system. Secondly, work out out what's happening to the sensitives, who keep dying of a strange illness. It's complex. Very much so. I've ended up reading this over months for various reasons, and my reading of it has definitely suffered because of that. There's about four different plotlines interwoven, spread over a range of timelines. We've got insight into Kaaro's childhood, how he first got involved with S45, and the more recent, with his developing relationship with Aminat. There's also the eternal hunting for Wormwood, and other secret places belonging to the alien and the human communities that have grown up integrating and welcoming it. It needs more focus than I gave it, in a similar manner to last year's Gnomon, so I'd say don't try and read this along with something else. Difficulties aside, there's a shedload of good in this. The fungal aliens remind me nicely of Greg Bear's Blood Music, and there's a lot of thought put into how the world would develop around the cataclysmic changes caused by an invasion. The xenosphere allows some impressively psychedelic scenes, with a fun mix of metaphor and reality. And it's a nice insight into a slice of Nigerian culture. Finally, there are so many other fascinating titbits of the rest of the globe, such as America just going entirely dark, and "something" happening to London. There are a lot of other flagella you could pull on to end up in a different story. Kaaro is a bit unlikable, but there's so many characters here, each built to have their own appeals and flaws, he fits right in. Each of them feel believable, and have hints of their own stories going on in the background, that keep you guessing until most of the way along. The bureaucracy around S45 is also painfully true to life, and how he rebels in small ways is pleasing. I'm definitely recommending it, with the caveat it is not an "easy" book. It takes a fair degree of attention, and reading it over any length of time is probably a recipe for disaster. But the way those layers unfold is cleverly done. You probably need to get over the first hump where complexities are still being added, and then when it all starts tying together it tends to make more sense.